Want to join me in making a difference? 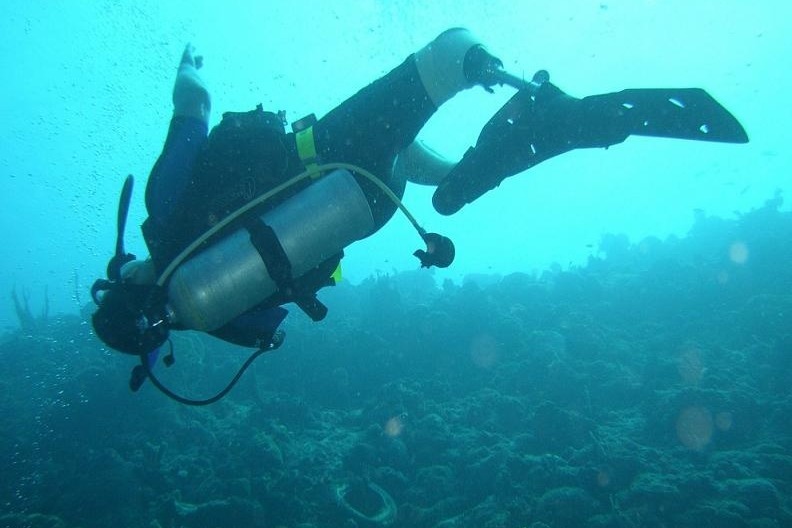 I'm raising money for Handicapped Scuba Diving Alliance Inc, and any donation will help make an impact. Thanks in advance for your contribution to this cause that means so much to me. Want to join me in supporting a good cause? I'm raising money for Handicapped Scuba Diving Alliance Inc and your contribution will make an impact, whether you donate $5 or $500. Every little bit helps. For over ten years there has been a trip to Bonaire, NA for Wounded Warriors from the United States of America. This coming August 24, 2019 is the date for the up and coming trip for our heroes. Over the years there have been many people that make this trip happen. To major worker Jack Chalk and Captain Don passed away and things have slowed down. Captain Don’s Habitat, the government, the tourism board, the local people of Bonaire, and many organizations make this trip happen. This year we are trying to invite Wounded Warriors from the Netherlands to participate in the trip. A little reunion for troops that fought side by side against the War on Terrorism. We have contacted Wounded Warriors in the Netherlands and are willing to send some of there wounded warriors, So we need money to make this happen. In the pass the dive industry has been a major player in supplying equipment for the Warriors, Mask, Fins, Snorkels, BCD’s, regulators, wet suits, lights etc. We once again ask for your support to outfit these young men and women who protected our citizens while serving in different countries and strive to keep our shores safe. The major big expenses “air fare” to get everyone to the island for a week and for meals. If we get them there they will have fun, while caring and sharing their live with the other soldiers. Please send your donation to help defray the cost. While on the island the warriors will have a full itinerary of scuba diving, shopping, sightseeing, dining and experiencing the best of Bonaire. Hopefully the highlight of the week will be when the community of Bonaire gather to meet the remarkable troops at a reception held in their honor. Please contact the Handicapped Scuba Diving Alliance to make your donation. HSDA is a 501 (C) non-profit organization “Helping People Discover Their Abilities” it has dedicated itself to improving the physical and social well-being of people with disabilities through the sport of scuba diving. We are dedicated to assuring that people with disabilities are given the same opportunity to receive quality training, certification and dive adventures as the able-bodied population, with safety. HSDA is a member of the Handicapped Scuba Association International. Please step up and make this dream come true for our special group of people that were there for us. Make all checks payable to the Handicapped Scuba Diving Alliance. No goods or services were provided in exchange for your generous contribution.